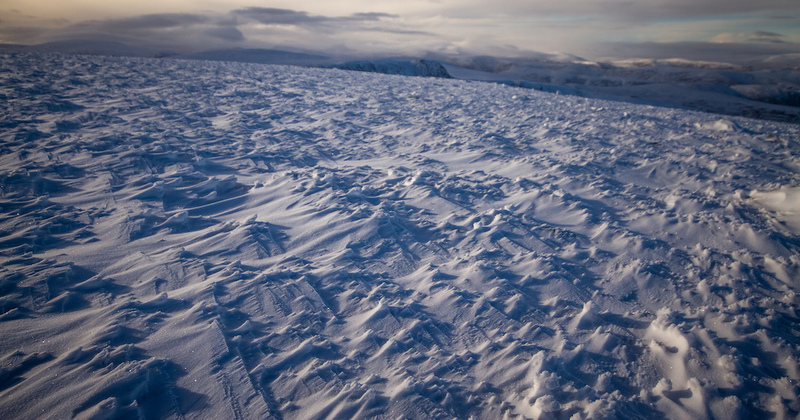 SAIS Southern Cairngorms Blog » Lochnagar in the sun. 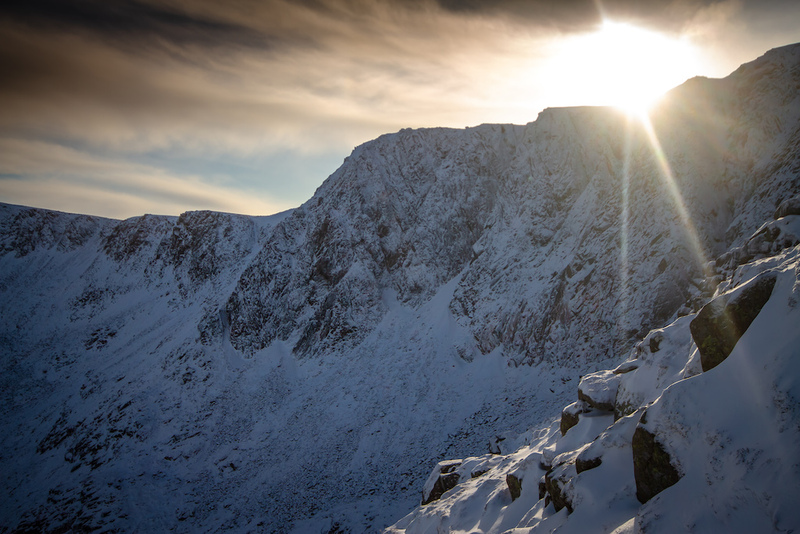 A cracking morning on Lochnagar today. There was some snowfall last night, not too much, slowly gaining depth around the top of the gullies and higher plateau areas look well covered, however it really is not as deep as it looks! 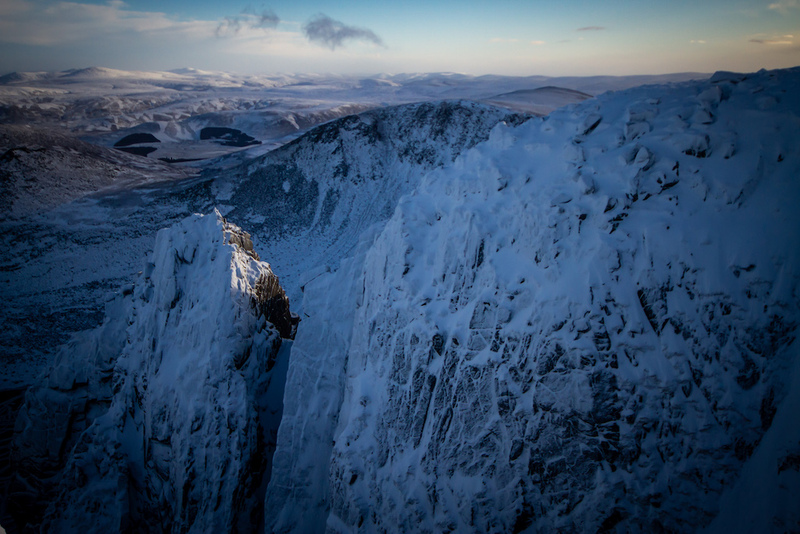 Looking down the West Ridge to Lochnagar. The loch is starting to freeze over. 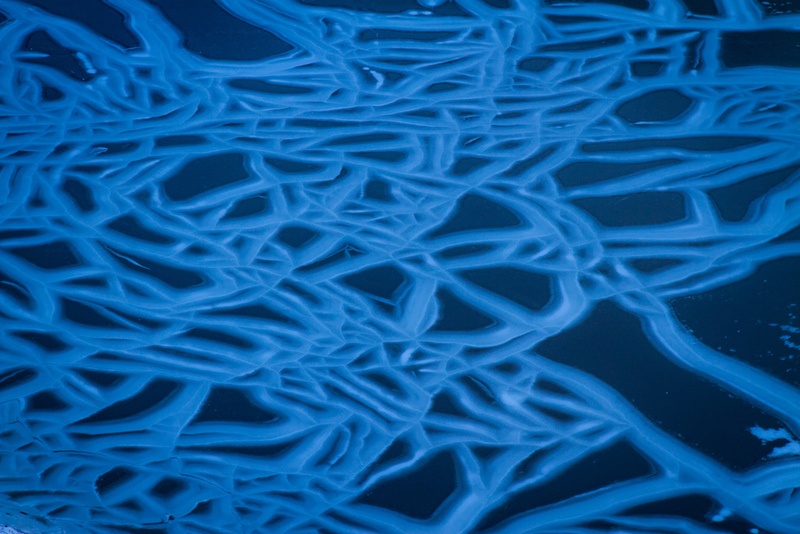 Funky patterns on the Loch. 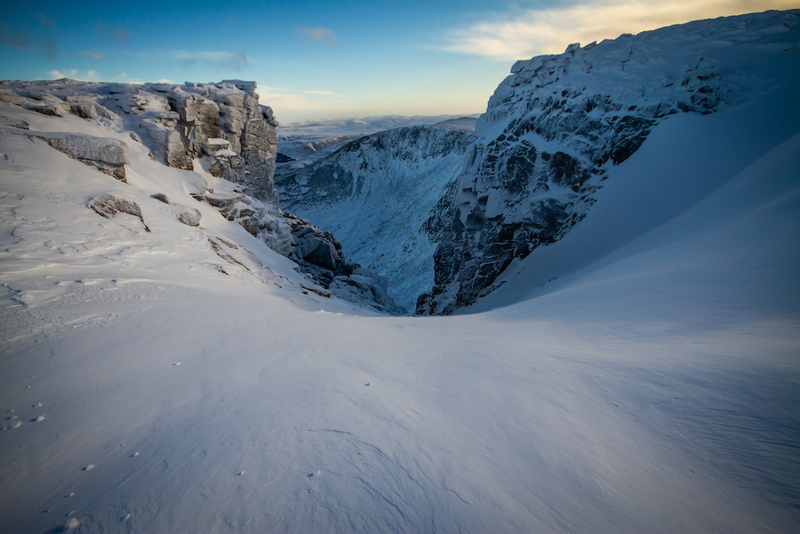 A sunny day on Lochnagar, thankfully only clouding up when I got down…..makes a change! 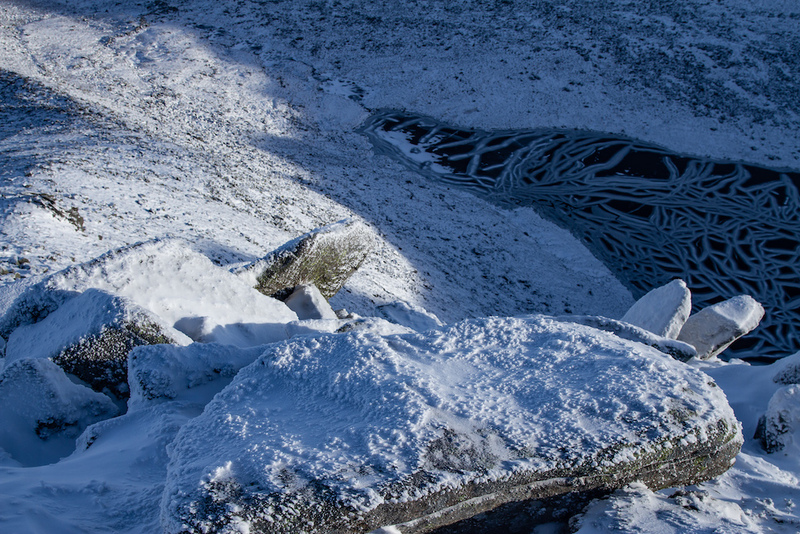 The crags are fairly frozen and icy with a layer of powder. Very little build up, Raeburns Gully a good example. 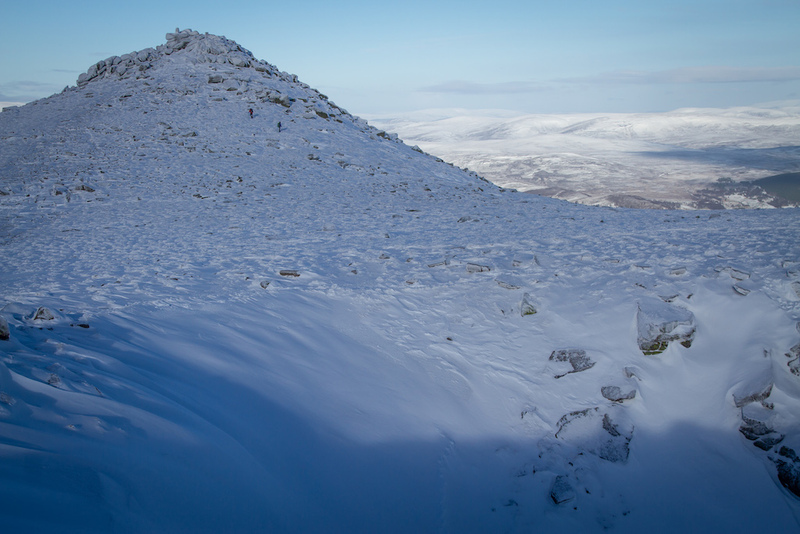 Snow looking good on higher plateau’s such as Beinn a Bhuird. It really is not very deep, a day or two of thaw and it’ll be gone. 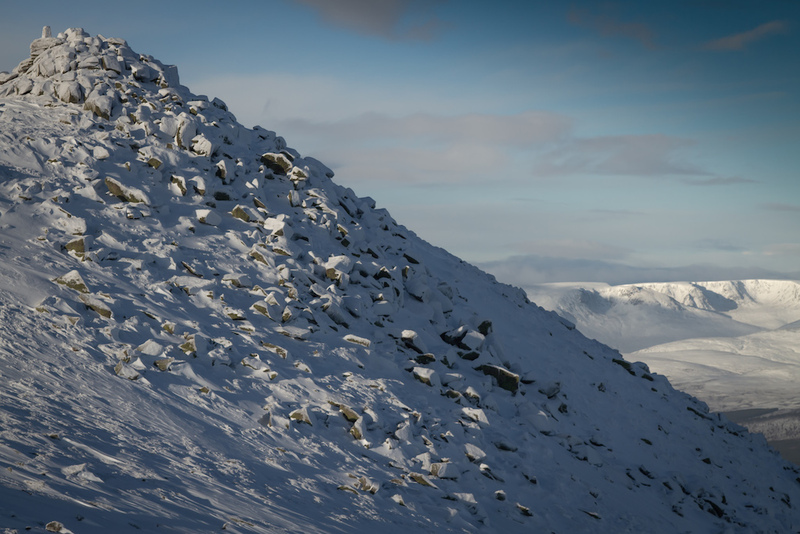 Also good looking on Ben Avon……long way to carry ski’s though! Looking to The Stuic. Cover has definitely improved, let’s hope it’ll continue to build. 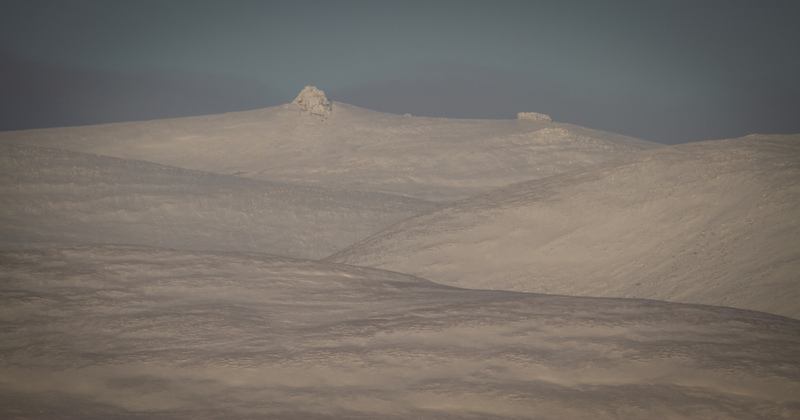 Summit with Beinn a Bhuird in the background. Walkers nearly at the summit. The Black Spout Right Hand at the bottom. 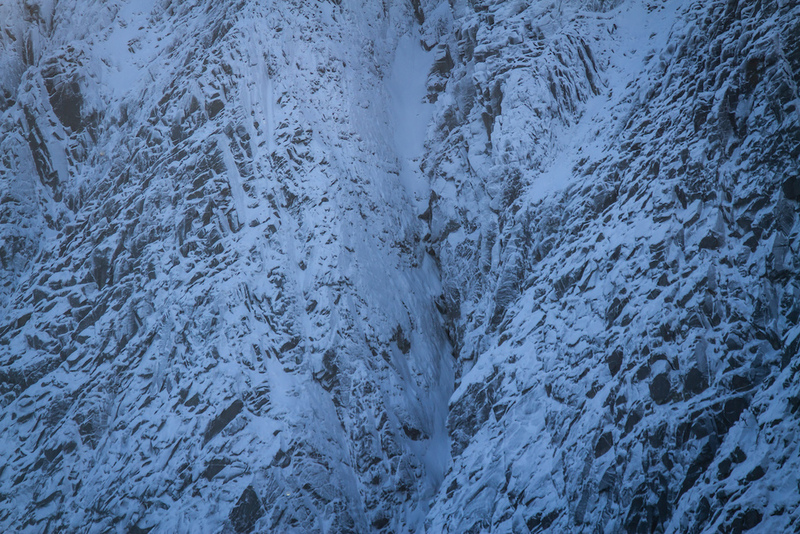 Unstable windslab slowly gaining depth around gully tops in the last few days. Like most gullies, there is some windslab around the exits. Skiers…..don’t get excited, you’d be taking ski’s of at the narrows!